High-frequency welded finned tubes are applied to a wide range such as HRSG, Petrochemistry, Power generation facilities, Desalination facilities, Economizers and Gas coolers. They are also used at waste heat recovery facilities and heat exchangers. They are divided into solid and serrated to be produced and supplied. Highly efficient yet cost effective, L-footed finned tubing offers maximum heat transfer at lower temperatures. The unique L-shaped design holds fins rigidly to withstand heat cycling and high velocity air vibration. G(embedded) finned tubing offers exceptional thermal efficiency at higher temperature ranges with solid fin-to-tube contact. Fins are mechanically locked into a helical groove in the outside of the tube. Rollers press displaced metal from the groove against the base of the fin to form a lasting metal-to-metal bond. 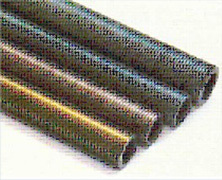 Extruded fin tubes are formed helically out of a bi-metal or single walled tube. The result is an integrally formed finned tube with an excellent fin-to-tube bond providing exceptional efficiency and longevity. 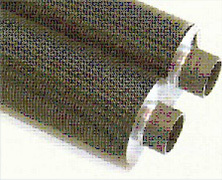 Whether rough service, high temperatures, or corrosive environment, extruded fin tubes are a great option. 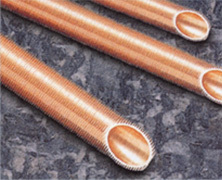 Low Fin tubing is a type of extruded tubing that consists of small low fins. 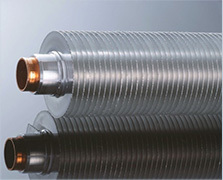 The low fin tube is very similar to the extruded “high fin” types but these tubes have the same diameter as the base tube. 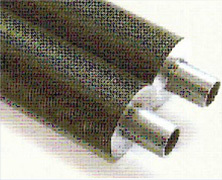 Low Fin Enhanced tubes can be used in standard shell and tube baffles and tube sheets. 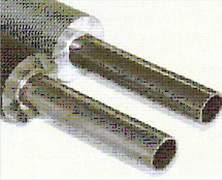 The primary advantage for the low fin tube is providing surface enhancement and better heat transfer over smooth tubing. 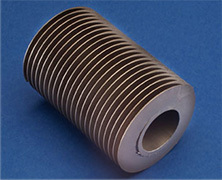 A cross-fin coil type heat exchanger wherein a multiplicity of raised fins of the louver type are formed on the major portion of the surface of a convoluted fin base plate and the area of the portion of the fin base plate reduced in heat transfer performance is minimized, to improve the heat transfer effects achieved by the fins. 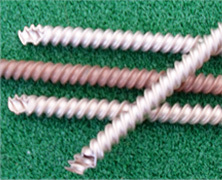 In this type of fin tubes, the strips are wound on tubes and tack welded at ends. 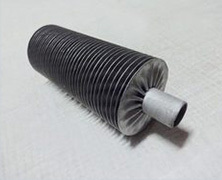 This type of fin tubes can also be supplied Root Soldered where base of the fins are soldered to the tubes for better bonding. 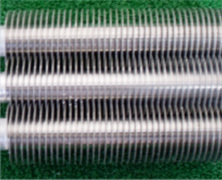 The extended surface area of these finned tubes are used in many applications. The fin tubes can be made with tubes of Copper,Copper-Nickel,Admiralty / Aluminium Brass and fin material of Copper, Aluminium & M.S. wound around it.